Genetics – fibromyalgia has the tendency to run in families. Certain genes contribute to how your body senses and processes pain while others might make you more susceptible to feeling depressed or anxious, which can make pain feel even worse. 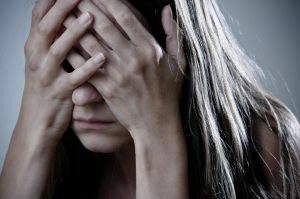 Stress – fibromyalgia and disorders related to stress are frequently diagnosed together, making stress an important risk factor in the development of the disorder. Fibromyalgia is commonly associated with chronic fatigue syndrome, PTSD (post-traumatic stress disorder), IBS (irritable bowel syndrome) and restless leg syndrome. Pain processing abnormalities – processing pain is a two-way street. For example, if you place your hand on a hot stove, that stimulus is sent to the brain over the nervous system where it is processed as painful. A signal is then sent back over the nervous system to pull your hand off the hot stove as quickly as possible. For people with fibromyalgia, there is some data to suggest that this process occurs abnormally. Central sensitization – The theory of central sensitization proposes that those suffering from fibromyalgia have a lowered threshold for pain, meaning that something that would ordinarily not be perceived as painful hurts someone with the condition. This is possibly due to an increase in reactivity of nerve cells in the brain and spinal cord that are sensitive to pain. It is often described as a “volume knob” for pain that is turned up too high. Sleep disturbances – the sleep problems that people with fibromyalgia experience can lead to a vicious cycle of the widespread pain and muscle tenderness that the condition is known for. A normal sleep cycle has stages, and the interruption of sleep in certain stages can trigger the development of chronic pain by leading to hormone imbalance and decreased healing and tissue repair. Physical or emotional trauma – going through a traumatic life event can trigger a flare-up of fibromyalgia. Events such as a major auto accident, a divorce, or the death of a loved one can be both physically and emotionally taxing and have been linked to fibromyalgia in some people. Fibromyalgia can also arise after certain illnesses or infections. Lifestyle – fibromyalgia seems to be more common in people who live a sedentary lifestyle. A lack of physical activity, obesity, and being a smoker might increase an individual’s risk of developing fibromyalgia. Conversely, if you have already been diagnosed with fibromyalgia, incorporating regular exercise can be one of the best things you can do to feel better. Exercise does not need to be rigorous to be effective – simply going for a walk, taking a yoga class, or gently pedaling a stationary bike can all provide relief. Pain is a warning sign that something is wrong in your body. In a normally functioning nervous system, nerve signals travel from the injured part of the body via your spinal cord to the brain. The brain senses these signals as pain and as you heal, the pain reduces and resolves over time. In the case of fibromyalgia pain is present even if there is no injury or illness to explain it, and the pain does not subside over time as it should. As we discussed above, there is no one definite cause of fibromyalgia. However, one thing that is generally agreed upon amongst researchers and doctors who work with those with the condition is that there is a glitch in the way your brain and spinal cord handle pain signals. It can cause the head to be carried in an abnormal position, forcing the rest of the spine to compensate. This can cause pain and discomfort in other parts of the body, and can “pinch” or irritate nerves, disturbing the normal communication of pain signals. An atlas misalignment can impact brainstem function. The brainstem is the part of your central nervous system that coordinates many of the functions that we don’t consciously think about such as hormone production, blood pressure, and digestion. This can lead to the development of fibromyalgia’s most common symptoms of pain, fatigue, and cognitive issues. Normal fluid flow between the head and the neck can be affected. Blood and cerebrospinal fluid (CSF) flow can be reduced if the atlas is not positioned normally, leading to poor oxygenation of tissues, inflammation, and slowed healing. Upper cervical chiropractic care is designed to address the root cause of fibromyalgia and its symptoms by addressing what is causing poor nervous system function. Once we can get your brain and body communicating optimally again, your body can begin to heal naturally from fibromyalgia. This is accomplished with very gentle and precise adjustments to restore normal atlas alignment. Because each upper cervical adjustment is tailored to the individual, they are designed to hold in place for as long as possible, bringing maximal relief.